Three young men go on an end of the summer trip to Hollywood, California. Their quest: to fulfill the fantasy of meeting Marilyn Monroe. 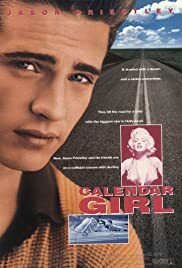 Priestley tries to bring that handsome charm from the small screen to the big screen in this dull fantasy about three high school grads who fulfill their dream date with Marilyn Monroe in 1962 Hollywood. Priestley is a capable young actor, but he needs better scripts than this.